No Free Dining for Early 2013? 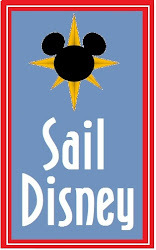 Disney Discounts Announced for Early 2013. Today not one , but two discounts were announced for select dates from Jan 2 to March 7. One of the promotions is the typical Room Discount that we all know and love. The second offer is for a discounted package that includes dining. While the "Stay Play and Dine" discount is more substantial than the room only discounts for the resorts I priced out, they are not quite as good as a free dining discount would be. This leads me to believe that we might not see free dining this time around, folks. My guess is that Disney feels they can fill the rooms with a more modest discount based on the buzz surrounding the Fantasyland expansion - and I have a feeling they are right. I would recommend that you take advantage of these offers while you can and not hold out for free dining, as I do not think that is in the cards for this winter. If you are not a Disney Visa holder, but would like to go ahead and book you trip in anticipation of the discount rolling out on the 10th we can certainly get started, and I will just apply the discount that morning to your existing reservation. If my gut is wrong and they roll out free dining later, I will simply change your reservation to take advantage of it! Here are the details...hot off the Disney Visa website. PS - I have no idea how the Stay Play and Dine offer is actually being calculated. Is it a flat discount on a total package? Is it a free day? Is it a discount on a component? I can't seem to put my finger on it and nobody that I have spoken with at Disney has been able to tell me. Once I get my head around it I will let you know if there is any way to structure you trip to take better advantage! Free Dining for 2013, not yet! Room Discounts are here for Jan-Mar! There is still no official news, or even a reliable rumble about if or when free dining is coming for 2013. Room Only Discounts are out today for Disney Visa Holders, in varying amounts up to 35% for stays Jan 2 - March 7. Offers to the general public will be available on Oct 14. These offers are available through the end of the year, subject to availability. 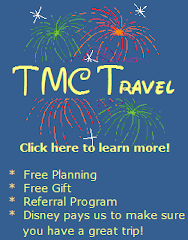 Please let me know if I can help plan your Disney vacation. As always if we get you booked on one offer and a better offer becomes available, we will automatically switch you over to maximize your savings!